China Rush3-- 2012 SPOILERS and LIVE sightings! Topic: China Rush3-- 2012 SPOILERS and LIVE sightings! 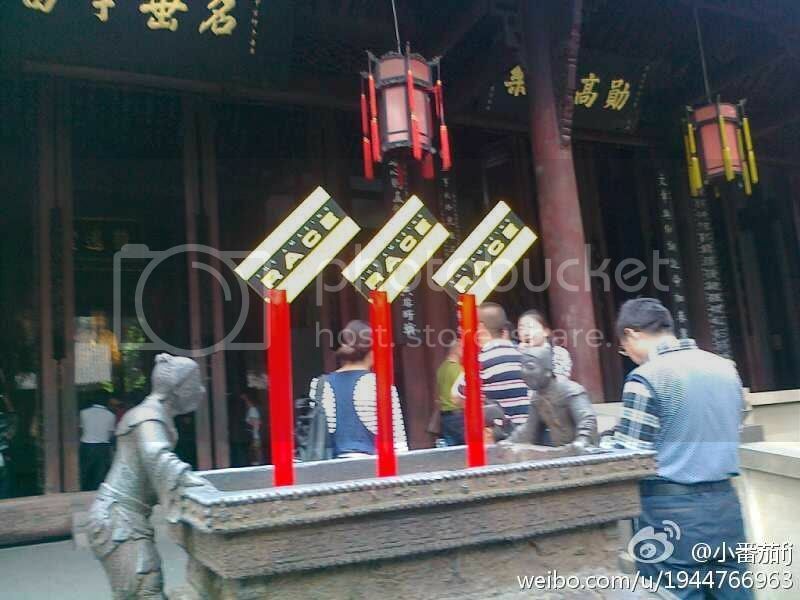 Re: China Rush3-- 2012 SPOILERS and LIVE sightings! Wow!! Sure went fast! Thanks for all the updates! Our final destination is Chengdu(成都)! Is there a cast list based on sightings?? That map looks so funny with the dash-back!! LOVE the "clue box" though!! Finale city's not in Shanghai, but it was the starting city? Although there's lots of connecting flights through Shanghai? Hmm... my friend flew back to Shanghai on April 24th, I'll ask her if she's seen any race related airport activity... that is if she still remembers. M/M team(USA team-Graduated from Harvard)-Ryan and Charlie? M/M team(Chinese boy with Foreigner? )-"Brandon and Nicholas?" There is only one all female team on this race? Towards the bottom there's a picture of a team and a caption: "We also saw a group of people filming, and realised that it was actually Amazing Race!". The blog is dated June 9th 2012, so I assume it would have to be something filming right now? Dunno if I should fuel this speculative fire (and it may very well be moved to spec or another thread later) but jiajia12 hasn't posted from December 2011 to April 1, 2012. jiajia12 has resumed posting on April 2... not sure if Rob and JiaJia from CR3 went home after they were sadly eliminated on the starting line. In summary, if jiajia12 is the racer JiaJia, and thanks for posting here! Please everyone... spoiler bars in the spoiler threads are NOT necessary. And any presumed final list etc really should have the available supporting evidence (photos etc) posted as well in order to be considered correct. We pride ourselves on FACTS...If it is speculative and there is no evidence, they that should be clear as well. Sourced evidence can be attributed to an un-named source. But let's try to provide some actual evidence to back up findings whenever possible. I'm not tremendous at vidcaps, but for those of you who watch China Rush on ICS online, there is usually a China Rush commercial during the China Rush breaks (that's an odd advertising principle?) that highlights some of the upcoming challenges/teams. This list (which is either speculative or true, depending on how supah3ro conducted his sleuthing and if he wishes to divulge that indo) has been right so far... if the twins are next to go then at least we know that supah3ro did an EXCELLENT sleuthing.